When one thinks of coffee they usually are not thinking about its origins and how it got to their cup. 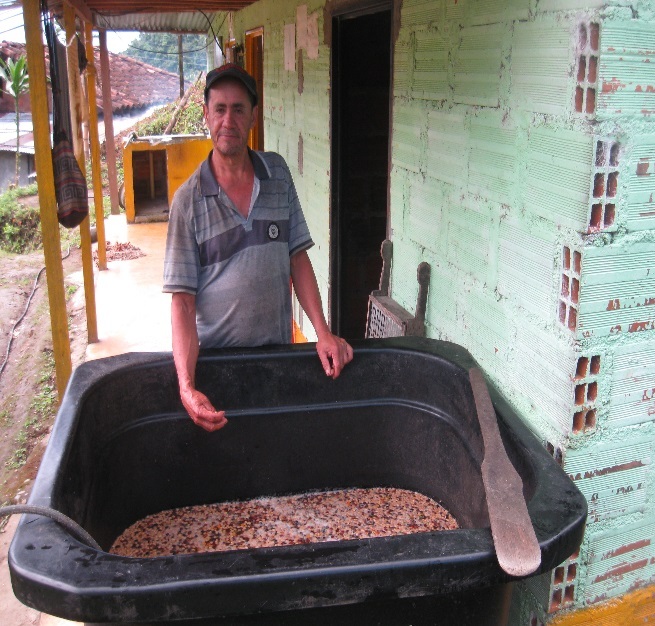 However, if you ask them where they think their cup of coffee came from, you’ll get an overwhelming response, Colombia! A country rich in tradition, a tradition deep in coffee. 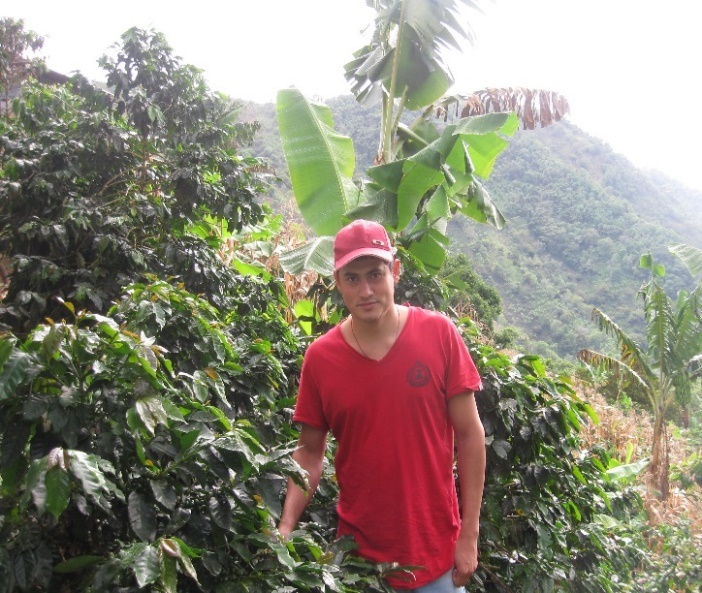 It has been one of the most known regions for growing great quality coffee with the perfect climate. In recent years though, the effects of climate change, economic crises, political disruption, and other factors have changed the landscape of Colombia. Tim Hortons Coffee Partnership, implemented by Hanns R. Neumann Stiftung and support by one of Canada’s leading coffee companies, Tim Horton’s has been addressing these changes and working with local communities on the ground. One of the areas of focus is stressing the importance of Farmer Organizations. These organizations allow smallholder farmers to join which creates better opportunities for them and their community. One such organization in Colombia is ASOTATAMA in the El Aguila, Valle region. In one of the workshops I learned about the importance of soil management and the use of green manures. He continues, “In addition to the training, Tim Horton’s Coffee Partnership motivated us to organize as a group, as a way to work more collaboratively and move forward together. We created our internal group regulations and subsequently, a rotating fund regulation to administer an investment resource that the program gave us. My first revolving fund credit was to pay for my new batch of coffee. 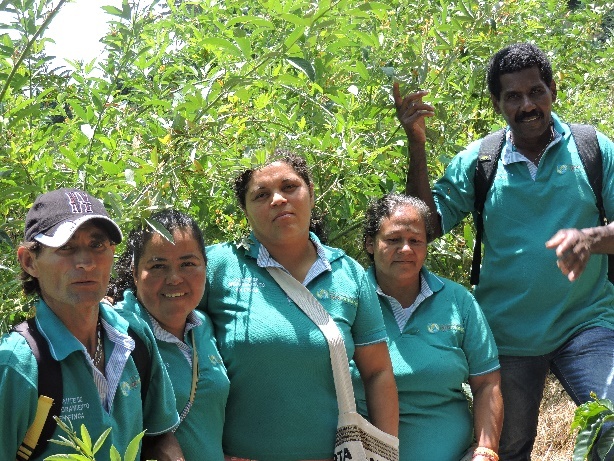 In order to access this credit, it was necessary to participate actively in the training and also to put into practice on the farm good agricultural practices such as conserving soil and water, making safe handling of agrochemicals, implementing administrative tools, making integrated pest management, and more. To receive the credit on must be very satisfied with the work on the farm, have real needs and be punctual in the repayment. Yonnier’s story shows us how important it is to not only invest in youth but if you provide the knowledge and tools, you will become self-sufficient and sustainable. This goes into the entire livelihood approach which ensures that every smallholder farmer increases aspects of their lives for a better self, family and in the end a better community. A powerful statement that puts the focus again on how farmer organizations allow smallholder farmers to grow and benefit from each other. With financing options and further opportunities for women and youth in the community. At a recent gathering of other Farmer Organizations in the country, several participants were vocal about what they feel is the lifeline of ensuring coffee can continue in their families, communities, “We owe what we are to coffee!” one participant says. Another says, “The countryside can live without the city, but the city can not live without the countryside”. A true statement which highlights how consumers no longer know where their goods are coming from or how they got there. In the end, we are all in this together and whether you live in a city and consume coffee or you live the countryside growing coffee, it takes both sides to come together and ensure the future is prosperous for everyone! The sooner we start treating sustainability not as a buzzword but as a mission and way of life, the sooner everyone benefits and after all, in these unforeseen times, community and togetherness is a great solution!